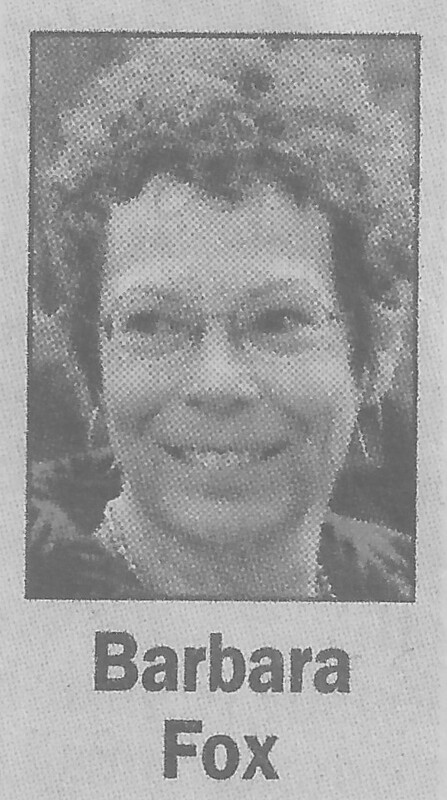 Barbara Fox lives in the Township of Mansfield, NY, has an art studio in Ellicottville, NY is a member of the Cattaraugus County Arts Council and designs coins for the U.S. Mint's America the Beautiful Quarters Program. Fox has relayed that 2021, the U.S. Mint program will release a total of 56 quarters depicting locations around the United States that are known for their natural beauty or historical significance. Fox will work for the mint as long as they keep her on. Although the work is very challenging, she says it is rewarding. Fox considered a master designer for the U.S Mint has been part of its "artistic infusion program since 2007. 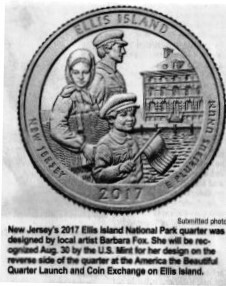 The design Fox produced of an immigrant family approaching Ellis Island with a mixture of hope and uncertainty was sculpted by Phebe, a U. S. Mint sculptor-engraver. According to the information provided in the article this is the 21st coin or medal designed for the Mint by Ms. Fox. It is the fifth quarter design by Fox that has been chosen to be minted.